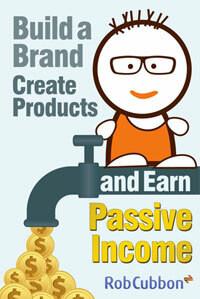 I’ve just published my fourth Kindle book Build a Brand, Create Products & Earn Passive Income. As usual, I’ve put it on at $0.99 for a few days before offering it for free for five days starting this Sunday, July 20th and ending on Thursday July 24th 2014. One day, a friend of mine, Deepak Taylor (from LatestFreeStuff.co.uk – the largest freebie site in the UK), asked me if I could give a talk at his meetup group, the London 4-Hour Work Week group. I was initially hesitant as I’ve never really “loved the limelight”. But then I thought, I’ve got to do this. It’ll force me outside my comfort zone, it’ll be good exposure. It’ll be good for me. I had about six weeks to prepare. What should I talk about? What are people going to want to hear from me? What can I possibly teach anyone? I thought, try to give people the most powerful 60 minutes ever. Tell them as much as I could about how to be successful online. And the talk is the basis of this book. I start at the very beginning with a description of my life in 2006 – doing rubbish work in offices with no aspiration of doing anything else. And how my initial route away from the hamster wheel was a WordPress blog. The blogging habit is initially painful but ultimately beneficial, so I explain all the advantages. I was encouraged to keep blogging by seeing increases in Google traffic, however small. In the book I explain exactly how you should blog in order to create an audience and build a brand. Anyone who wants to do any sort of business online needs to create an email list … and start doing this yesterday! I’ll tell you exactly how by explaining what strange-sounding things like “sequential auto-responders” and “lead magnets” are. You will learn that someone giving you their email address is worth more than someone giving you money and I’ll explain great ways to collect email addresses. Lastly, I explain what I mean by ‘intimate’ content. This is where the products and passive income come in. ‘Intimate’ content is content that establishes a closer connection between you and the audience. Videos, podcasts and books typically take your followers longer to consume and, in the case of audio and video, the consumer hears your voice and sees you face – building an even closer relationship. Books: I explain the best way to conceive, write and promote a book. This starts with creating an e-book for sale at kdp.amazon.com. Audio: I explain why podcasting is a great idea and how to do it. I explain why you should be creating ‘intimate’ conent, and how you can do this. The beauty of this blueprint is that, if you set it up right, it feeds itself. You grow a brand by creating a blog with an email list, ask your followers what they’re struggling with and sell them products that solve their pain. The blog, the podcasts, the videos and the e-books feed the email list which grow your audience to buy more of your products. So, here’s the recap: Build a brand. Your brand is followed by an audience. They tell you what they want. You build it. And they buy it. And you keep going. 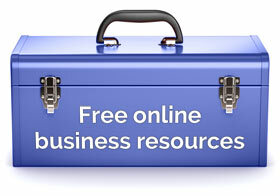 Buy Build a Brand, Create Products & Earn Passive Income at the UK Amazon store. Buy Build a Brand, Create Products & Earn Passive Income at the US Amazon store. You covered the basics. Intimate content. Gotta create it, to form those business-building bonds beneficial for all involved. List building is critical and of course, so many of us have had a similar beginning. For me, I was counting numbers on a container in Newark, NJ on the docks as a security guard. Now I’m blogging from paradise, traveling the world as a pro blogger and typing these words from Savusavua, Fiji. Folks, if you follow Rob’s advice, buy his books and simply stick to the fundamentals you can go anywhere you want in life. The key is in keeping things simple, branding yourself like a pro, creating value and connecting with leaders in your niche. You simply can’t go wrong if you stick to the basics, to build a digital empire. I found this on Triberr and will give it a tweet through there. Hey Ryan, what a pleasure it is to have you pop by, straight outta Savusavua, Fiji. It’s wonderful to watch your journey. Your synopsis is even better than mine because you mention connecting with leaders and others and, although I very definitely talk about this in the book, I forgot to mention it here. You nailed it right there, Ryan, I can’t thank you enough for the support. Sounds great, just picked up a copy from the UK store. Thank you, Rob. I finally got the copy of the US Kindle book, adding in my collections of all your ebooks! You are indeed an inspiration to me. On the PDF you sent me I’m on #37 page and will continue to read in the kindle form. All of these you are doing I’m contemplating wow…you have done a lot of work and I’m not even halfway of what you’ve done. I get scared sometime, specially in podcasting. I’m still studying the podcasting part. I’m going to start playing when I get my professional microphoine. I’ve seen Pat Flynn’s step-by-step tutorial videos, and so as Cliff Ravenscraft…dang this is not as easy as I thought. But I’m gonna keep trying. Still…on kindle book I’m trying to organize mind, and I’m getting dizzy. I’m trying to organize this on InDesign. I’m not sure about Microsoft Word. Oh well. Again, thanks for the inspiration. 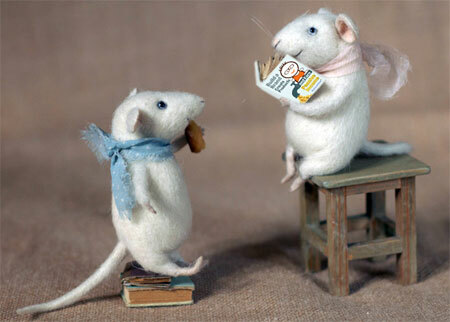 Have a nice weekend. Hey Angela, so glad I’m an inspiration for you. Don’t worry, Angela, it only looks like I’ve done a lot because I’ve been blogging since 2006. In reality, I’m incredibly lazy and disorganised. You can do it. You’d be an excellent podcast host. You’re really good with people. You’ve just got to talk to them. We all get dizzy when we’re contemplating something new but these things are comparatively easy once you know how. Nice that you got this great opportunity to share your wisdom even further. Seems like things are on the up and up. Of course you are not new to the game, and you have worked hard to earn your income and position in the community. Hat off to you. Thank you very much, Ashley. Yes, I’ve been around the block for a while but there’s so much I wish I did differently which would have meant more product sales in a shorter amount of time. And that’s why I wrote the book. For to help other people increase their paid digital output! I just read it… Thank you Rob, this will help me a lot with this new project in mind about blogging and give me that last push up to start it. Thanks for reading it, Pepe. So glad it helped you. Let me know if you need any help with your new project. Great book so far, I’m about half way through it! Hey, Noel, thanks! Glad you’re liking it.